McCormick senior Michael Park remembers being caught sneaking food as a child before the Korean New Year celebration of Jesa. Jesa, also known as Seollal, is a Korean ceremony honoring ancestors. It is usually celebrated on the Lunar New Year and family members often bow before an altar before eating. The 2019 Korean New Year, falls on Feb. 5. With more than 200 Korean international graduate and undergraduate students at Northwestern, many on campus will be celebrating the holiday. 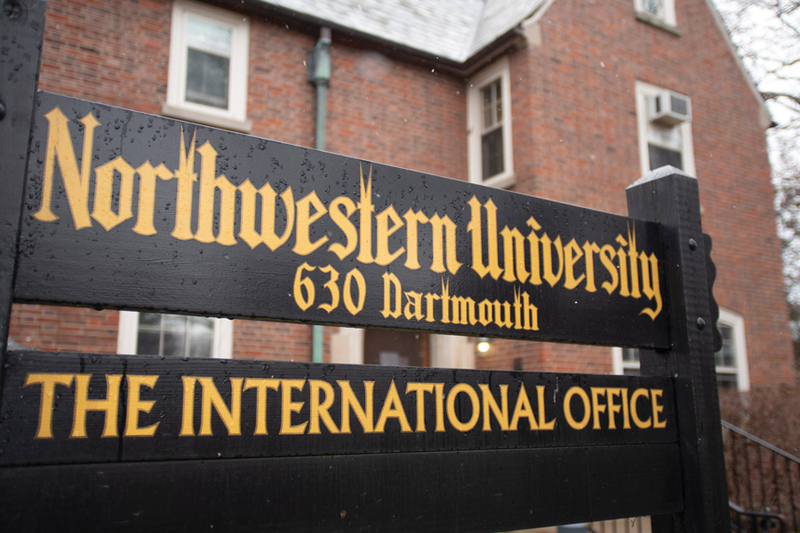 Northwestern’s Korean American Student Association is already planning a celebration including traditional games, clothing and Tteokguk, a rice cake soup. Park, co-president of KASA, moved to Illinois when he was four years old. Having been born in Korea and grown up watching the ball drop in New York City, he said the Gregorian New Year and the Korean New Year hold similar meanings to him, especially since the Gregorian New Year is also commonly celebrated in Korea. The 2019 Chinese New Year, like the Korean New Year, also follows the Lunar Calendar. Thomas Zheng, external chair of the Chinese International Student Association , said the group plans to host its own celebration for the upcoming Year of the Pig. “This festival for me is a big time for me not only to appreciate and treasure the friends that share the same background as me, but also it’s a time for us to remember our root,” the Medill sophomore said. However, Zheng said he has not been able to celebrate the Chinese New Year recently since he moved from China in ninth grade. Because Northwestern’s winter break aligns with the Gregorian New Year, which is also a legal holiday in China, he said he has begun to celebrate the Gregorian New Year as his official New Year. For Medill freshman Tim Lan, who is from Zhongshan, China, the Gregorian New Year is far less significant than Chinese New Year. Having attended high school in the U.S., he was unable to celebrate his favorite tradition of Chinese New Year: the fireworks. However, Lan hopes that Northwestern will better accommodate the Chinese holiday than his high school. He said he wants to see better recognition from student organizations and school officials of the traditional holiday. Like Zheng, he is only able to celebrate the Gregorian New Year with his family when he travels home over winter break. “Even though we can’t be with our families (for Chinese New Year), it’s still good to just meet with friends to celebrate,” Lan said. Many other cultures celebrate the Gregorian New Year, but have different traditions. In Venezuela, people wear yellow underwear for good luck and at midnight, Venezuelans eat 12 grapes and make a wish for each month of the year. Venezuelans will also eat a bowl of lentils to give strength for the upcoming year. People also spend New Year’s Eve cleaning the house to receive the new year with a fresh start. “It sounds ridiculous when you say it out loud,” said Sarah Dagher who is from Caracas. The Communication freshman will not be in the U.S. for New Year’s this year, but in past years she’s celebrated New Years in the U.S. and continued to follow the Venezuelan customs. Although her family now lives in Spain, they continue to celebrate their Venezuelan roots with the same New Year’s traditions. “We bring the grapes and the lentils and everything, regardless of where we are,” Dagher said.